UK Demolition & Construction would like to congratulate Habitat First Group who have produced this multi-million-pound home in the heart of the Cotswolds. 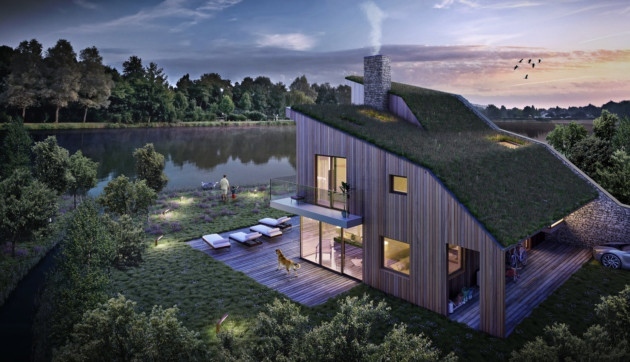 The property features a distinctive wildflower sloping roof, which blends in beautifully with its natural environment. The ground-breaking property was designed by award-winning architects Featherstone Young who claim the property has been built to last 1,000 years. Now that really is sustainable luxury. Habitat First Group, are now the proud owner of a prestigious UK Property Award after building this fabulous and innovative property. Habitat First Group won the Five Star Award in the Residential Property category of the internationally recognised awards. They competed against the best property professionals across the UK to win the award. The UK Property Awards are the most prestigious and widely recognised awards and are judged by an independent panel of 70 industry experts. They consider design, quality, service, innovation, originality and commitment to sustainability when making their decision. We think the owners of this property will enjoy it …. its absolutely stunning!